Whether it’s espionage or romantic lust, movie characters lead us to identify with the effort to hide something. This 8-week series highlights both dramatic & comedic films, exploring issues from national security to gender insecurity. 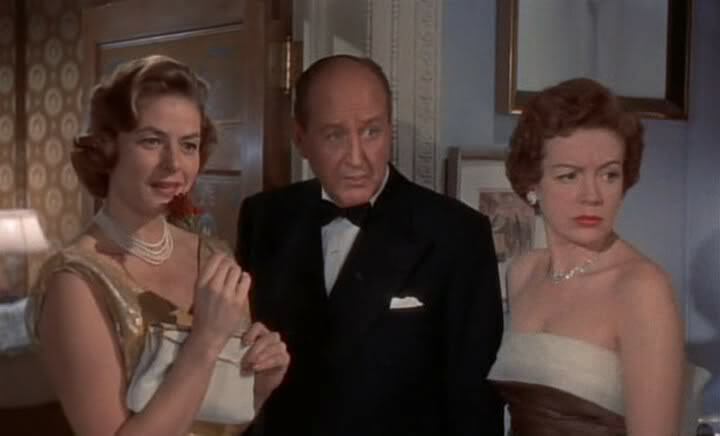 May 3: Indiscreet (1958), directed by Stanley Donen, 100 min. In this sophisticated comedy, Ingrid Bergman portrays a renowned London based actress who is romanced by a suave American financier, played by Cary Grant. Mar 22: Far From Heaven (2002), directed by Todd Haynes, 120 minutes), directed by Todd Haynes, 120 min. Julianne Moore stars as a 1950’s Connecticut suburban housewife facing a marital crisis and mounting racial tensions. With Dennis Quaid and Dennis Haysbert. Mar 29: Victim (1961), directed by Basil Dearden, 90 min. Considered daring at the time of its release, this intriguing drama presents Dirk Bogarde as a prominent lawyer risking his reputation trying to confront a group of blackmailers. Apr 5: The Imitation Game (2014), directed by Morten Tyldum, 114 min. Benedict Cumberbatch stars as Alan Turing, the real-life hero who kept a personal secret while racing to break the Nazi code during WWII. Co-stars Keira Knightly and Matthew Goode. Apr 12: Five Fingers (1952), directed by Joseph L. Mankiewicz, 108 min. A WWII spy thriller based on true events, with James Mason as a valet involved in the selling of British secrets to the Germans. Also starring Danielle Darrieux and Michael Rennie. Apr 19: Notorious (1945), directed by Alfred Hitchcock, 101 min. Ingrid Bergman and Cary Grant mix romance and espionage when she is recruited into the American intelligence service to spy on a local group of German exiles under suspicion. Also starring Claude Rains. May 10: To be or Not To be (1942), directed by Ernst Lubitsch, 99 min. In this black comedy, Jack Benny has the role of a lifetime as the leader of a Polish theater troupe who becomes involved in espionage during WWII. Also starring Carole Lombard and Robert Stack. May 17: Some Like it Hot (1959), directed by Billy Wilder, 120 min. Classic comedy with Jack Lemmon and Tony Curtis who witness a mob hit, then elude their pursuers disguised as women in an all-girl band–including Marilyn Monroe in a memorable comic performance.